These do it yourself pest control tips will help you to work out how to identify and deal with any pest infestation in your home. Cockroaches, fleas, bed bugs, spiders, termites, mice, all the furry or creepy crawly things that you don't want as roommates sometimes show up and multiply, causing an infestation. 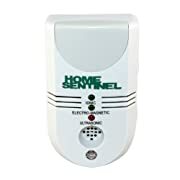 While prevention is always the best measure sometimes these annoying, and oftentimes harmful and even disease carrying pests, invade our homes and our lives. From itchy bites on your skin, dark spots on your sheets, animal droppings in the pantry, and cockroaches scurrying behind the refrigerator while you make a midnight snack, it may not be as easy as you think to determine if you have a pest infestation. Without being an expert, you may not be able to identify the bite marks accurately. You may only be able to take a guess at what's making all the ruckus in the attic. And after browsing the internet for hours, you still can't identify that spider that keeps popping up. If you really aren't sure whether or not you have an infestation, it's best to call a professional for a thorough investigation. 1) Check the window ledges for dead bugs. 2) Look for rodent nests. Check all the nooks and crannies, anywhere they can hide. 3) Many pests, including cockroaches, are nocturnal so stay up extra late and look for signs of pest activity. 4). Chewed holes in walls and floors are also a sure sign you may have a pest infestation. Depending on the pest, damage can be caused to your home, your possessions, and your health. 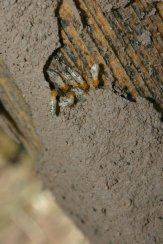 For example, termites have been known to cause extensive damage to a home's structure. When an infestation of bed bugs occurs, you may have to throw away all your bedding, and even your mattress and bed frame. 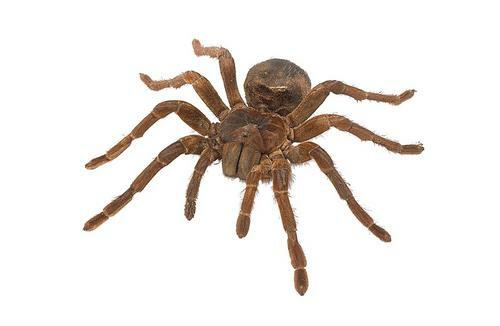 Rodents are known to carry disease and spiders can be deadly. One of the advantages of do it yourself pest control is saving money. 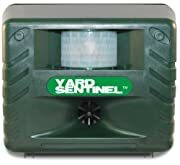 There are a variety of products on the market for every known pest infestation. Whether you need to fog, spray, bait, trap, dust or mist to get rid of unwanted pests, you're sure to find the product, along with protective gear, to get the job done. However, it is highly recommended to call a professional when you have a pest infestation for a number of reasons. 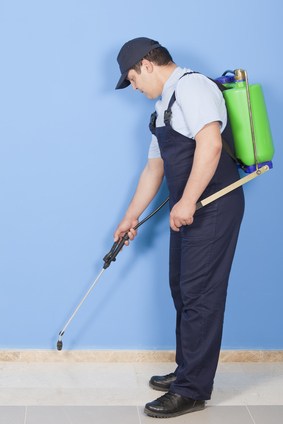 First of all, the chemicals used to kill many pests are harmful and really should be handled by a professional. This is especially true because many pests, like bed bugs, are great at hiding and a professional will know when and how much to spray in every area of your house. Secondly, inexperienced DIY treated infestations can often make the situation worse by not getting all the pests, making them come back even stronger. A pest infestation is a serious matter. Don't procrastinate. Top of my pest control tips: If you think you have an infestation, the best thing to do is to call a professional immediately. Taking care of this problem right away will help prevent damage to your home, your health, and your quality of life. The notoriety of bed bugs show that vampires are not the only popular blood suckers in society. Scientifically known as Cimex lectularius, bed bugs are tiny, brownish flat-like insects that operate mostly during nighttime. During the day bed bugs prefer to situate themselves in areas people normally sleep on. Their small bodies enable them to fit in the narrowest of spaces, especially those related with headboards, box springs and mattresses. Unlike ants or bees, bed bugs do not congregate in a single area. The problems on bed bugs are even documented in writings about medieval Europe and classical Greek during the time of Aristotle. Bed bugs were already known to feast on wild hosts mainly birds and bats. Bed bugs were a big problem especially before World War II due to the poor focus on cleanliness and proper hygiene. However, the bugs nearly vanished in the 1940’s and 1950’s because of the widespread use of various pesticides. However, less effective pesticides and reforms in pest control methods enabled these creatures to make a comeback and again become a pest in society. How to tell - What do they look like? 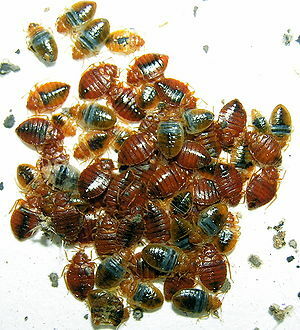 The adult bed bugs are normally mistaken as ticks or cockroaches, as they are approximately ¼ inch in length with flat and hard bodies. 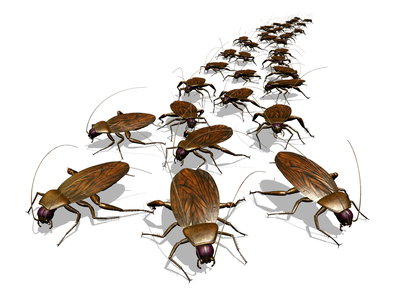 These insects can move swiftly in floors, ceiling, walls and other surfaces but cannot fly. The female bed bugs can lay as many as 500 eggs during their lifespan and choose secluded areas to make their move. When the eggs hatch, the baby bugs or nymphs can fully develop as fast as a month. Cool areas or where there is no access to blood will prolong the development time. The nymphs can live for several months without feasting, while the adults can last for around a year. People in deep slumber are normally the prime targets of bed bugs. 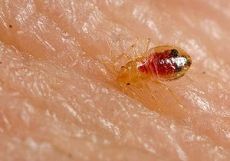 A person who is being bitten may not even notice that he has become dinner for the bed bug, as engorgement normally lasts for around three minutes or even less than a minute. Bite scars result in a red welt or slight swelling of the skin. People that travel frequently, do not regularly clean their beds or use pre-owned beds should be concerned that they will be eventually attacked. However, bed bugs are not considered a serious disease threat, as there is only a small chance that they can transmit any harmful virus to humans. Top pest control tips: Those that want to prevent complications from bed bug bites should spread antibiotic cream or antiseptic to the infected area of the body. In addition, it is best not to scratch the infected area. Similar to mosquito bites, scratching only makes the infection worse. The proliferation of bed bugs has been a problem for many centuries. The length of time they have been causing headaches indicate that the perfect way control them has yet to be developed. It is wise for a person with a bed bug issue to hire a professional pest control group to help solve his dilemma. Those with a long experience in the pest industry should know where bed bugs settle. Top pest control tips: To assist the pest solvers, clients should at least clean their surroundings from excess clutter. 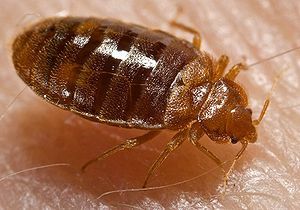 The inspectors could be forced to look in nearby rooms, as bed bugs have the ability to disperse in different areas of a building. The bed is normally the main breeding ground of bugs. If a bed has holes and tears it is likely that these contain eggs inside or out. Pest control companies normally advise their clients to dispose the beds that are heavily infested or in poor shape. Bed bugs do not choose what type of bed they will settle, as they put more importance on the warm blooded person occupying it for an extended period of time. Bed bugs can even settle in sleeping bags, egg foam, or even stacks cardboard on the floor. Any place where people sleep is always the perfect area for bed bugs to roam. Water beds are also included, as these have nooks and crannies and are often warm, which is the preferred temperature of these insects. Despite various alternatives to control bed bugs, it is safe to say they are here to stay. Top pest control tips: Possibly, the best way not to become a bed bug victim is by putting a premium on good hygiene and cleanliness. A lot of times, experiencing an unfortunate pest infestation is the result of a lack of knowledge or understanding on how to avoid or control such events. If this is the case, then you should take the time to begin researching online to get more do it yourself pest control tips and supplies. There is a lot you can do yourself, but when all else fails, call the professionals and get a permanent solution. Below here I'm featuring more pages with helpful do it yourself pest control tips on this subject. Do you have a tip you want to contribute here? Do you have some pictures or graphics to add? Great! Click the button and find the first one on your computer. Select it and click on the button to choose it. Keep all images under 100k please! How Many Eggs Do Bed Bugs Lie? Are There Herbs Used to Get Rid Of Bed Bugs? 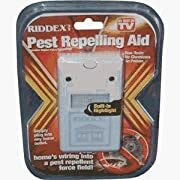 Here are some do it yourself pest control tips and products you can buy online and get conveniently delivered to your door, that I think look very useful. 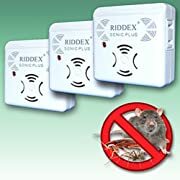 I know that I have had a lot of success using one of those electric alarm gadgets to rid one house of a mouse plague, so I do know these things do work! Talstar Pro 3/4 Gal Multi Use Insecticide / Termiticide / 7.9% Bifenthrin ~ Spiders , Roaches , Fleas , Ticks , Stink Bugs , Mosquitoes , Earwigs Etc. 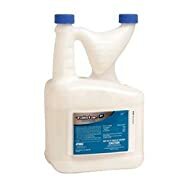 96 oz Same Product Many Pest Control Pros Use! 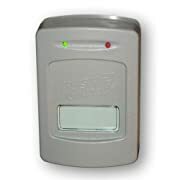 Back to HOME PAGE of this do it yourself pest control tips section of the site.